Start small for big results with this inspiring guide to lifelong wellness—from popular health blogger and author of Operation Beautiful. Featuring twenty inspiring success stories and photos of people who have transformed their lives, the book proves that a healthy body is absolutely attainable. Healthy living and a healthy self-image go hand in hand. 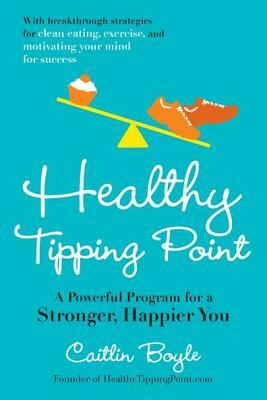 For anyone who struggles to get fit, Healthy Tipping Point provides the drive to thrive. Caitlin Boyle is the editor of operationbeautiful.com and writes a daily food and fitness blog, Healthy Tipping Point, which garner more than 520,000 hits per month combined. For five years, she served as a contributing columnist for The Wall Street Journal Classroom Edition. She lives in Charlotte, North Carolina.